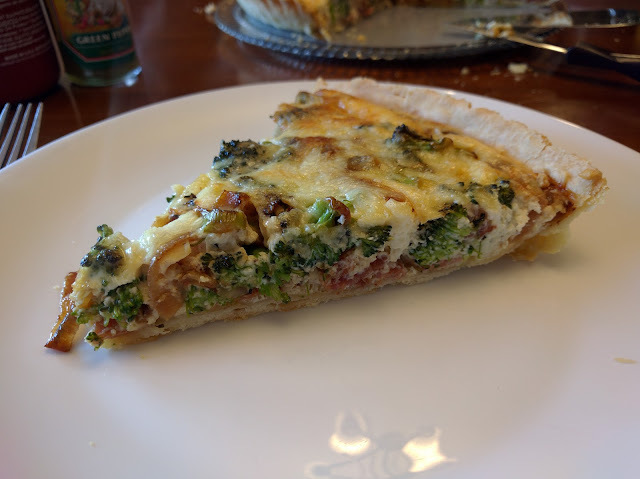 More Great British Bake Off-inspired cooking - I made Quiche Lorraine today. 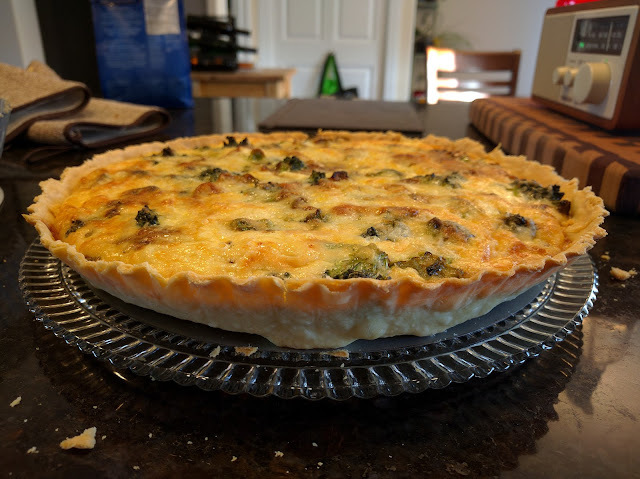 I've never made a quiche before in my life! It was fun and delicious. I found this recipe that was the main inspiration, but I wanted to add broccoli so I took some hints from this recipe too. I also have a 22cm tin and the recipe called for 20cm, so I tried to scale everything up a bit. Hand mix flour & butter to crumb consistency, add water, form dough ball, roll out on floured counter, set in tin, refrigerate 20-30 minutes, blind bake 10 minutes at 450 degrees, remove blind and bake 10 more minutes. It ended up taking about 40-45 minutes in the oven at 350 degrees. It was GREAT if I do say so myself! Could have used a bit more salt, a bit more filling overall, but I'd make this again for sure. Hello.This post was extremely remarkable, especially because I was searching for thoughts on this matter last Saturday.